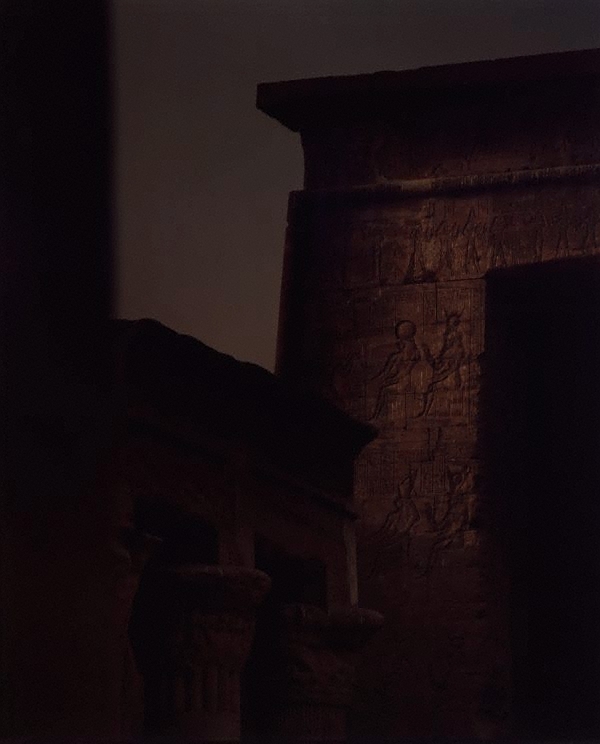 Bill Henson’s photography embodies a pervasive sense of stillness, which is laden with suggestion and suspended between recognition and memory. For more than three decades he has sought to give visual form to liminal conditions, charting the exquisite passage of light through skies at dusk and twilight, and imaging the gauche beauty of adolescence. These are moments of uncertainty and becoming. The German Romantics considered the relationship between nature and humankind too, their atmospheric paintings of beauty, yearning and mystery placing great emphasis on the subjectivity of the viewer. Henson’s photographs are charged with related sensibilities; skies, roads and the surface of skin imbued with elusive qualities in which the tension between light and dark, figure and ground and the intense sumptuousness of his printing style generate an aura of calm expectation. He works in series, using content and light to build associations between images, producing an effect that is similar to a fragment of thought or spark of memory. ‘Untitled 1985/86’ (a series of 154) groups together photographs of light shimmering on the rooftops of suburban houses and touching the inscriptions of ancient sites, along with close-ups of people. Although the subject matter is diverse, the tone of the series is unwavering, generating a continuum between past spaces, present domiciles and the people who may dwell within them. Signed l.r. sheet, ink "Bill Henson". Dated l.c. sheet, ink "...1985/86".